Customer self-service, when properly understood and applied, creates significant customer and business value. However, customer self-service is often confused with shifting work – resulting in serious impact on customer relationships and organizational effectiveness and efficiency. This post can be downloaded as a PDF. 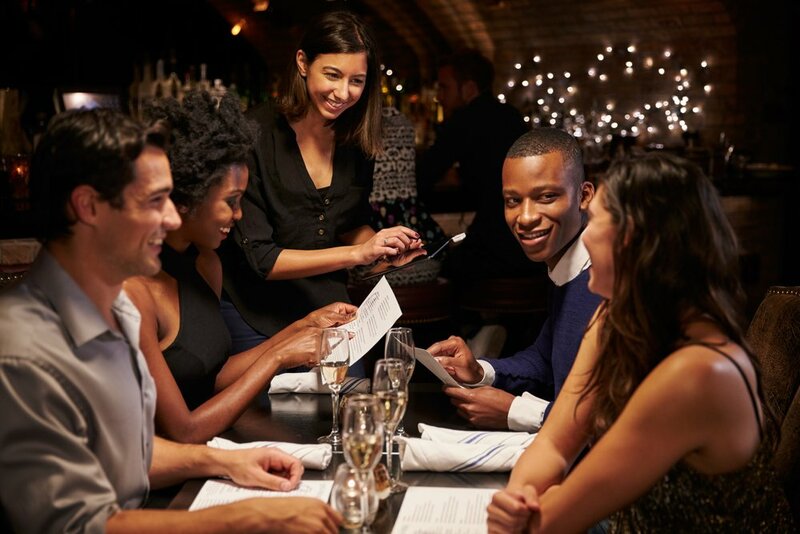 Customer self-service enables customers (internal and external) to perform certain work activities own their own at their own discretion, rather than waiting for someone else to do it for them. Typically, these are rules-based tasks that a customer can perform without specialized knowledge. Providing a customer self-service option creates value (often in the form of convenience or flexibility) from the customer’s perspective and creates value from the organization’s perspective in terms of increased effectiveness and/or efficiency. For example, enabling customers to order popcorn and soda from a self-serve kiosk at a movie theater is a convenience that saves the customer time waiting in line to order from a counter person. In other words, many customers prefer to order from the kiosk, rather than waiting in line. Enabling customers to order from a self-service kiosk also reduces the level of staff (as well as counter space) needed to enter customer orders at the concession counter – which enables staff to focus on the tasks associated with fulfilling the order, rather than the tasks associated with entering orders. Another simple example of customer self-service are airlines enabling customers to make reservations, select seats, purchase tickets and print boarding passes online. For many, perhaps most, customers the online experience is significantly more convenient than calling and speaking with a call center agent and waiting in-line for a boarding pass. In both examples above, the customer opted-in to the self-service experience. Self-service creates value for the customer in terms of convenience and creates value for the organization in terms of reduction in the level of staffing needed for transactional activities (e.g. order taking, seat selection, etc.). In other words, customer self-service is a win-win – good for the customer and good for the company. If customer self-service is not a win-win, then the concept involves shifting work or “Work Shifting.” Customer self-service creates value for both the customer and for the organization. Work shifting is the transfer / shift of work from one functional area of an organization to another functional area (internal work shifting) or from the organization to an external customer (external work shifting) under the guise of customer self-service. Work shifting often results in winners and losers resulting from the transfer / shift in work. However, understood and applied wisely, internal work shifting can increase cross enterprise effectiveness and efficiency (e&e) and external work shifting can also improve e&e while mitigating impacts on external customers. See Inteq’s whitepaper Lean: Getting Early Wins from BPM regarding the concept of effectiveness and efficiency. A negative internal work shift, often in the form of process sub-optimization, is the transfer / shift of work, and the resulting cost of the work, from one functional area to another functional area within the organization, resulting in an overall negative impact in organization e&e. See Inteq whitepaper BPR360/Framework™ - The Blueprint for Business Transformation for more information regarding the concept of sub-optimization. For example, the manager of the Billing department of an organization wants to hire an additional Billing Specialist. Traditionally, the hiring manager contacts Human Resources (HR). A HR professional then works with the manager of the Billing department to define the job description and the required skills. The HR professional, based on the meeting, then writes-up the job description, creates the job requisition in the HR system, sources candidates and sets up interviews for the manager of the Billing department. Now, however, HR has implemented a new Enterprise Human Resource Information Management System. Under the guise of customer self-service, much of the work that HR formally did on behalf of the functional areas, such as for the manager of the Billing department, is now transferred / shifted to the functional areas. In this example, HR shifts much of the work to the manager of the Billing department. HR provides the Billing manager access to the new HR system. It’s now the Billing manager’s responsibility to create, write and enter the job description and the job requisition into the HR system. It’s also now the job of the Billing manager to review resumes submitted online by applicants and to schedule phone and on-site interviews with potential candidates. HR is now only involved in presenting the offer and on-boarding the candidate if the candidate accepts the offer. Does this transfer / shift of work from HR to the Billing functional area create value for the organization in terms of e&e? Clearly, the shift significantly reduces the work and staffing cost from an HR perspective. However, is it more valuable for the organization as a whole for the Billing manager to perform these activities or for HR to perform these activities on behalf of the Billing manager? It depends on whose time (Billing manager or HR professional) creates the most value for the organization in terms of e&e. If the HR professional can do the work shifted from HR to the functional manager more effectively and efficiently than the functional manager, and if the functional manager creates more business value for the organization doing what the functional manager is tasked to do (rather than doing the work shifted from HR) then the work shift results in sub-optimization and diminishes overall business value. A positive internal work shift is the transfer / shift of work, and the resulting cost of the work, from one functional area to another functional area within the organization resulting in an overall positive impact in organization e&e. For example, under the current “as-is” state of the order fulfillment process for an organization, the business rule is that when an order is received by the Sales department and if the order is from a new, versus an existing customer, the order is first routed to accounting to setup the new customer in the “system.” After accounting sets-up the customer in the system, the order is routed back to Sales to enter the order and then sales routes the order to Finance to analyze the customer’s credit. In analyzing the process, it’s determined that, on average, orders are routed to accounting the same day that orders are received; however, orders sit in Accounting for an average of 3-5 days before accounting sets-up the new customer account on the system. During the 3-5 days that orders sit in Accounting, Sales does not have visibility of the orders and cannot answer customer questions regarding the orders. The reason it takes 3-5 days for Accounting to set-up a new account is because setting-up new accounts is one of many tasks that Accounting performs, and is not a particularly high priority task from Accounting’s perspective. As a result of further analysis, it’s determined that the rule that Accounting sets-up the new customer account is legacy – 20 years ago Accounting had to set-up new accounts because this functionality was part of the accounts receivable module and only Accounting had access to the module. However, several years ago, the organization implemented an ERP system and now the functionality of setting up a new account is role-based and can be performed anywhere within the organization. Accordingly, the manager of Accounting and the manager of Sales jointly decided to transfer / shift the work of setting-up a new account from Accounting to Sales. This is a win-win work shift. The work is not particularly germane to Accounting and not a high priority. However, getting a customer account set-up quickly is very germane and a very high priority to Sales. The cost of the shift is neutral from an organizational perspective – in other words the work shift did not increase or reduce the cost of setting up a new account. However, the work shift reduced the set-up time from an average of 3-5 days to one day – resulting in a significant improvement in customer service and reduction in order cancellation. Getting back to the earlier HR example, let’s take the example one step further. Let’s assume a Billing Specialist is a highly skilled position that requires knowledge, judgment and experience to properly fulfill the role – and that qualified Billing Specialists are difficult to find and recruit. Prior to the new HR system, the Recruiter worked with candidates, typically via phone, to assist the candidates in filling out a job application. However, the new HR system enables the candidates to fill-out the application on-line rather than speaking with a Recruiter. While the functionality to enter the application on-line is clearly more convenient for the candidate and more efficient for the recruiter, it also reduces the level of interaction and engagement between the candidate and the recruiter. The additional level of interaction and engagement between the candidate and recruiter could, in some cases, provide an edge to both the recruiter and to the candidate in decision making regarding moving forward. So, is shifting the work for filling-out the application to the candidate, under the guise of self-service, a positive move for the organization? The answer is maybe. It depends on the trade-off between the relationships of the improvement in recruiting (improved conversion of candidates in the pipeline, better decision making on the part of the recruiter, etc.) from better engagement with candidates versus the gains in efficiency resulting from candidates entering their application via a customer self-service portal. Let's look at one last example – a hybrid example. 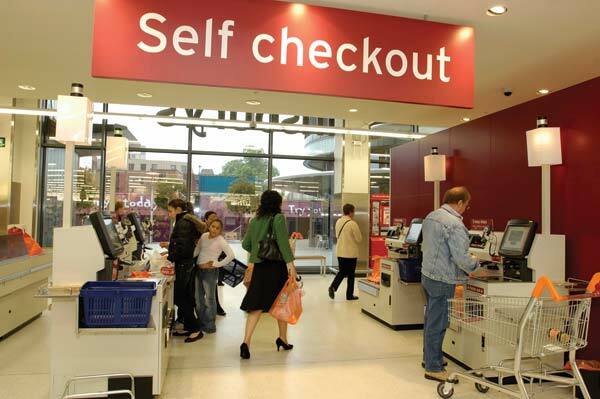 Today, most supermarkets have self-serve check out and are usually the traditional cashier checkout options as well. Customers have the option to use the self-serve checkout lane (which typically does not involve standing in line) or can opt to stand in a line for a traditional cashier to do the check-out work. The customer makes the decision. This is an excellent approach to customer self-service that balances effectiveness and efficiency. Customer self-service and positive work shifting are both valid improvement tactics. Each can produce authentic customer and business value. The proliferation of cross-enterprise software provides many opportunities for customer self-service and for work shifting. Enterprise software, however is not a prerequisite for customer self-service and work shifting. It’s important to look for opportunities to enable customer self-service that provides value for the customer and value for the company – the win-win. Also look for opportunities to utilize enterprise software to transfer / shift work from one functional area to another functional area that provides a win-win for the organization that optimizes (rather than sub-optimizes) business value. This post provides key concepts regarding customer self-service and the application of customer self-service and optimizing the transfer / shifting of work within an organization. I encourage you to download the PDF version of this post as well as the other whitepapers and webinars on our website.